When expats or tourist do get married in Pattaya they usually do not saty in Pattaya. Most move to Issan or apply for a K-1 Visa once they are engaged or a K-3 Visa once they have registered their marriage in Pattaya. Once you have found what you have been searching for in Pattaya, you decide you get married and register you wedding in Thailand. This in Pattaya can take a while as most of the documents you will need are located in Bangkok. Firstly you need to visit our offices in Pattaya near the Pattaya Bus Station. Once you have completed all the forms we will ensure that the following gets done with your assistance. 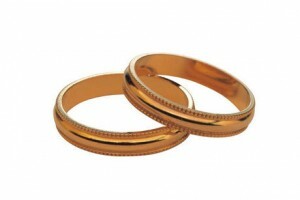 We would need to visit your Embassy in Bangkok to obtain your affirmation to get married. This document states that you are allowed to marry and that you are single. This usually takes 2 days to obtain and it needs to be translated into Thai and certified. This document then gets taken to the Thai Foreign Affairs office in Laksi where it will spend another day in having the document from the embassy and the translation verified by the department. Once the certification has taken place and the documents stamped, the documents then get taken to the Amphurs office in Bangkok or Pattaya for registration of the marriage. 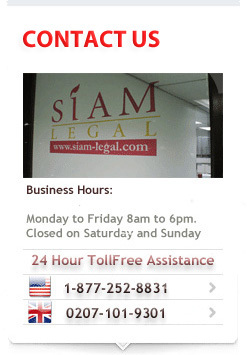 This process normally takes about an hour and you will be issued with a marriage certificate in both English and Thai. Most expats and tourists in Pattaya do not wish to make the trip to Bangkok and prefer us to obtain and complete all the documentation needed. Speak to us today in Pattaya, Bangkok or any of our other office in Thailand with regards to getting your marriage registered.